As a Williamsburg local, I have heads up on the best tavern you can enjoy while visiting our Historic Triangle. Kings Arm is tasty, historic and usually very warm in the winter. Jane Vobe opened the Kings Arm in 1772. It became the town's most respectable establishment and she was said to have described it as " where the best people gathered." You will understand why this was as soon as you step foot into the rooms of the Tavern. 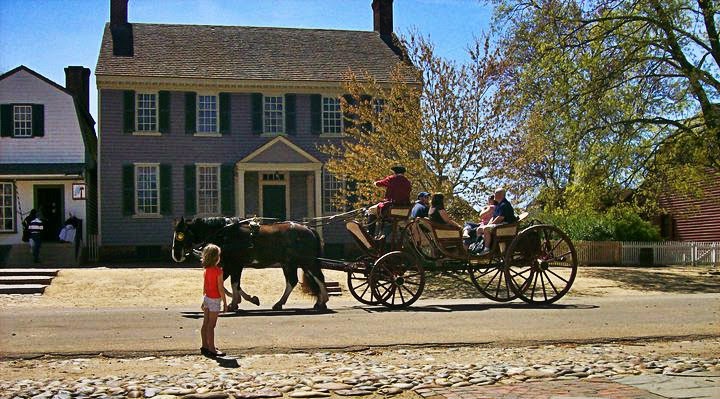 With the finest furnishings, perfect hosts and service and musical entertainment that brings you back to the magical times of Colonial Williamsburg. Either the Champagne Cocktail with sugar cubes and bitters or if you are more of a beer drinker try Mr. Purdie's Home Brew. Peanut Soupe: A specialty garnished with peanuts and snippets. You will be satisfied! Either the Norfolk Pottage Pye with tender chicken in a creamy soup with carrots and peas with a flaky crust that melts in your mouth or Mrs. Vobe's Southern Fried Chicken. Suburb fried and served alongside salty ham, boiled tomatoes and skillet fries. With Thomas Jefferson's Brandy Spiked Bread Pudding served with warm Vanilla Bean sauce. Don't Miss These Exciting Events Coming Soon!